Hey – Make sure you vote in the annual election to the Ocean Beach Planning Board today Wednesday, March 2nd. Seven of the 14 seats on the Board will be up for election. In order to vote as a resident, property owner or business owner, you need to know in which OB Planning District you live or own property – see map and review of each district below. Here’s OB’s frontline against gentrification : District 1. Here’s the “Heart of OB” : District 2. Here’s OB’s north-east quadrant: District 3. District 4 – the Hub of the Village . District 5 – The Cliffs of OB. District 6 – The Hills of OB. 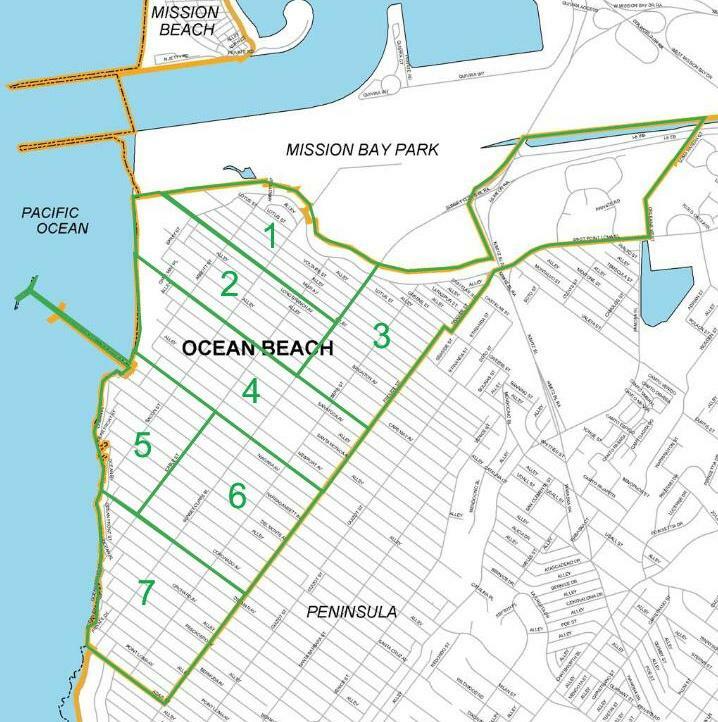 District 7 – The South End of OB. I’m having trouble zooming in on your map enough to see the street names. Which district is Newport Ave between Froude and Guizot in? Based on my reading of your map, it looks to be in “Peninsula”. Does that place it in Point Loma instead of Ocean Beach? Newer Article: Poll: Do you think there is now more or less airplane noise in OB or Point Loma?